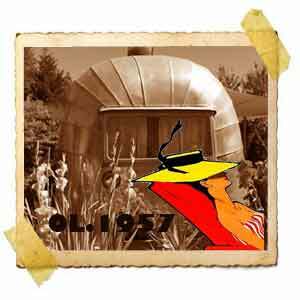 Authentic American aluminum caravans from the 40s to 80s to rent on site, for 2 or 4 people. 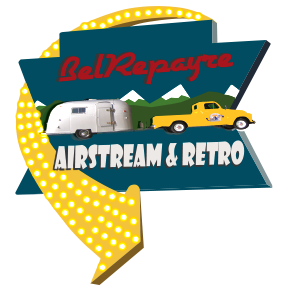 Each Airstream trailer is equipped with self-catering facilities. They each have a canopy, a parasol or shade sails, outdoor table, chairs and sunbeds. and of course a BBQ , no need to go shopping our “general store” has everything you need. The Airstreams are extremely well insulated and the aluminum reflects the heat. Each trailer is set in its own private garden of 100m² minimum tastely landscaped. 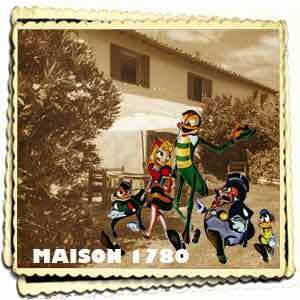 A large old french farm house for 6 to 8 people.